I have been using Digital Ocean and Vultr for quite a while now. Years actually. These 2 hosts make it easy to get a VPS up and running with your preferred Linux Distro in mere seconds. I use them all the time to test my RMS Auto Installer and ChatPlus Automator. In fact, I couldn't have done either without Digital Ocean and Vultr. I can fire up a new server in a few seconds do my testing for a cent or two, then destroy it and I am no longer billed for it. Then, I fire up a new distro and re-test. When I am done I simply destroy it and I am not billed anymore. An entire month of testing cost me around $0.35. Some months even less. You can't beat that for sure. You could fire up the $10 month / $0.015/hour VPS with 1 GB RAM and 1 CPU. Test it for 24 hours strait and it would only cost $0.36. If you destroyed it when done. Or, leave it running for several days or a week and it's still extremely reasonable. Really simple, and it's what allows me to test my RMS Automator and ChatPlus Automator. If I had to manually re-install a Linux Distro every time I wanted to run a test it would take me weeks or months to finish testing. They are both great hosts to test Dolphin or UNA, as you have full root access to your VPS server. You can also easily install and test RMS or ChatPlus (AKA Rocket.Chat). So, if you have been looking for a cheap and reasonable way of testing Dolphin, UNA, RMS, or ChatPlus give Digital Ocean or Vultr a try. They have more options, then I can write about in one blog post too. You might be surprised what you can do with them. You can sign up for free. 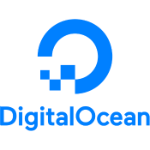 I believe at the current time Digital Ocean requires a $5.00 deposit to get started, and Vultr is $10. If you are a tester like myself you can destroy your server once your done testing and the $5 to $10 will last you a very long time. 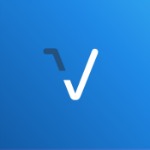 Vultr has pre-configured images with cPanel, Plesk, and Webmin available.